Pokémon Go breaks App Store Most Download App Within Week: Pokemon is grabbing the best App till as it broke record Apple some download in a week in Apple’s App Store as there is no official detail about number of download but this stats is share by Apple. As it become popular App and ranked #1 in on both Free and Top Grossing. 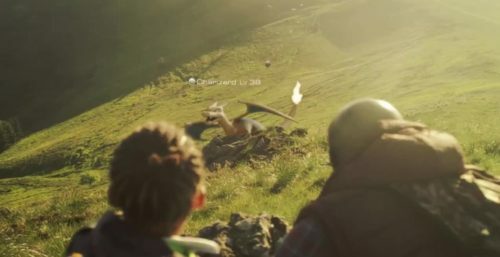 Pokemon as we know getting whole world attention not only Apple App Store app also creat amazing stat on Play Store as Google still not revealed it but App get Top Chart in Play store also. It not even month for release the App and App become popular all over. 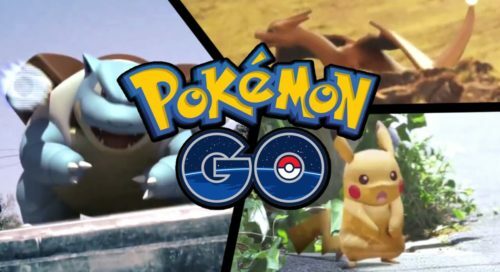 With huge demand and slow expansion all around the world Pokemon Go become favorite for all of us and it not surprise that Pokemon has been a huge success as it make Nintendo more than Sony within Month in terms of earning. As get is starting keeping record in all the Store all around the world and makes history which is impressive. Apple also paid $50 billion to developers Nintendo and Niantic which is the real price of there hard work. But still growing in huge demand world and not keeping it’s peace low. Share of Nintendo increasing day by day. Despite the App still limited to some countries only not event 30 this huge success will give Pokemon platform for future releases and expansion of this App is slow down because load on the serve is more than Niantic thinks off. As App is first release in US and Australia Followed up Germany, New Zealand and today in Japan. Which add up total 26 countries. Pokemon Go is a free game on Store even it has option to in-app purchase provide revenue to developers and Apple as game become rank #1 in all charts. Some have suggested the 30% cut with Apple could worth $3 billion over the next 1-2 years. Niantic also plan to introduce sponsored Gyms and PokeStops that could help in their business attract player to venue while Niantic also made 3000 Mc Download as Gyms which surely add the some revenue. Last but not least as question arises how long Pokemon took this pace and going increase day by day. As it over 3 week app get attention and Pokemon is placed all over internet including Blogs, Guide, Social Media, Newspapers and Much more capture their attention. While some thinks game have some safety notices for the players as it increases accident day by day.